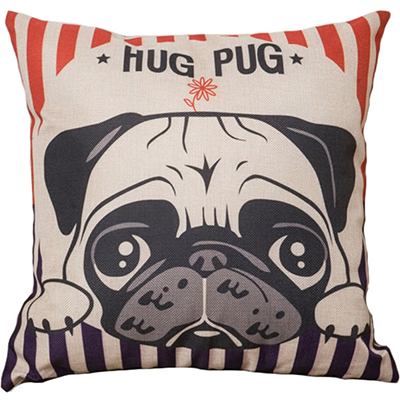 Prepare to relax on the couch cuddling with this adorable pug! Just put your favorite throw pillow into this eco-friendly cotton linen pillow case, and enjoy sweet dreams while resting your head on this stars and stripes pug pillow case! This product measures 45cm x 45cm (18in x 18in), and it fits over most standard square throw pillows.